Switching web host is like changing home. You don’t have any reason to move from one home to another if you are getting absolutely everything you want in the old place. However, this can only occur in an ideal world but unfortunately, there is nothing like an ideal world, this is why you see people changing places from time to time. 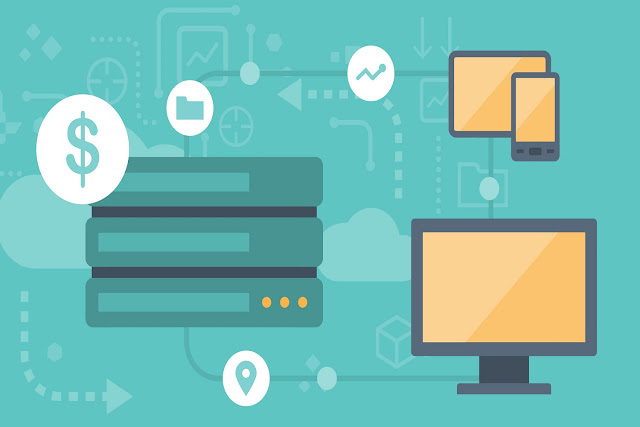 There are various reasons why you need to switch to a new web host but in a more general term, it is simply for a better overall hosting experience which includes low costs, better load time and more efficient uptime. Whatever the reason behind your decision to switch to a new web host, the process involved is the same depending on the option that you choose to use for the switching. At first, the process of moving to a new web host can be daunting, but it is surely attainable if you see it as the virtual version of moving homes. The first thing to do is search for a good host provider that has what you are looking for when you find one, you do all the necessary work that is required to rent the host then proceed to arrange your website i.e. backing up of your data to ensure that you don’t lose anything. After you’ve done all these, you can now transfer all your website data to your new host and point your domain to your new host by changing the DNS record. It is essential to change the DNS records because it is more like showing people your new location. To successfully switch to a new web host, you have to follow series of steps in certain order to completely transfer your website, check this website migration guide to help you attain your goal with ease. Nobody wants to go through the stress of changing from one web host to another; however, it becomes the right and best thing to do when your present host is not providing you the necessary service that you deserve. Basically, switching a web host is nothing different from the regular backup, upload and download stuffs that you do almost every day as a website owner but with additional tips, the process can be more straightforward and easy. It is only natural to change a web hosting company if you realise that what your present company is offering is lacking. They may be providing the basic requirements, but when it comes to website hosting, even the smallest of things matters a lot. When you pay a web hosting company to house your website, you do so with the assurance of keeping your website live and running, however, this is not often the case most times. All web hosts are different, they are not built the same, they offer different levels and quality of service, some hosts may provide greater efficiency while others provide cheaper hosting platform. No matter what you are looking for in a web hosting company, you can easily get what you want when you search. And when you’ve got the right option for your business, moving your website should not be a big problem. A lot of website hosting company are available on the internet but few of these providers use the best hosting elements with updated features. You will be harming your website if your host is lacking in certain areas. No matter how great your website design may appear, the success of any website is dependent on the server it is hosted. Before you hire any web hosting company, ensure you will be getting the best of everything which includes a good performing hardware, improved bandwidth usage, and better security. Other things to take note of are the potentials of growth, their customer relation, and if their features are worthy of your investment. The adaptability of their features to latest trends, better access and control, better multimedia experience and above all a good user interface are things that should aid your choice of a web hosting company.